❶Skimming through the Internet, we read suggestions to turn on inlining in debug mode, and other tweaks of the project settings. For more information on the default allocator, see allocator Class. The default allocator uses new and delete to allocate and deallocate memory. If you want to use a different method of memory allocation, such as using shared memory, then you must create your own allocator. Even if you have already implemented an old-style allocator, consider modifying it to be a minimal allocator in order to take advantage of the more efficient construct method that will be provided for you automatically. A minimal allocator requires much less boilerplate and enable you to focus on the allocate and deallocate member functions which do all of the work. Power — ability to lead, influence others, and provide protection and safety. Fame — nothing more to say here. Wealth — belongings, financial status, ability to provide…. Everyone knows that there are plenty of attractive women hanging out in nightclubs. So, how do you go about meeting women in clubs? We have implemented 'pool' directly in the header pool. It makes no sense to show the entire implementation here—all we need to know for now, is, that it defines the public interface:. The second argument of 'pool:: We will just pass the second argument of the allocators 'deallocate ' , but won't use it because 'pool' does not need this information. It is more of an aesthetic issue. We will come back to this later. 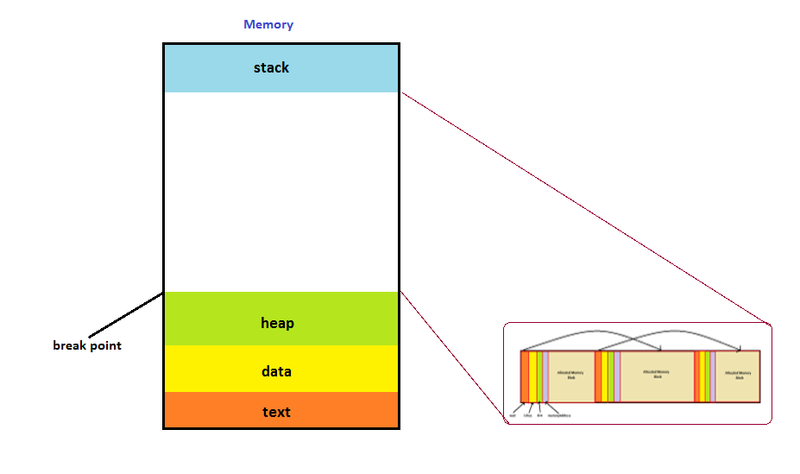 Let's have a look at the second memory management scheme first The concept of a simple segregated storage also is not new. The idea behind this memory management technique is to grab a large chunk of memory and to partition it into equally large blocks of a known size—that is, the size of the type you want to allocate. As opposed to the memory pool, we will use a simple linked list. That is, each block contains a pointer that points to the next free block. Another difference is that, when allocating a block, the pointer will be trashed. Well, as Pulitzer said, an image is worth a thousand words:. The image above shows the initial state of the storage. After allocating four blocks, it will look like this:. Now, assume that the second and third blocks are deallocated in this order: Of course, we want to be able to grow the storage, so we will do the same thing we did with 'pool' —we will use a 'std:: This corresponds more or less to Bjarne Stroustrup's example. There is one more point, though: We should also be able to allocate blocks of arbitrary size. Stroustrup leaves that as an exercise to the reader. When allocating a block of a size different from the segregation size, we first check whether it is by chance smaller than it. In this case, we allocate a block as we usually do, and If the size to allocate is larger than the segregation size, we compute the number of blocks needed. Then, we scan the chunk until we find a contiguous portion containing at least the computed number of blocks. We might have to grow the storage, even if we have enough free blocks, but not contiguous. The pool allocator will look like this:. We will simply delegate the 'allocate ' and 'deallocate ' allocators to the 'pool'. The member function 'construct ' is trivial:. That is called placement new. The member function 'destroy ' is a bit trickier because it has to decide whether to call a destructor or not. We need a couple of helper functions:. Or, it seems to be. We wrote a simple test harness for our allocators. We will use them to allocate some useless 'foo' class, both with 'std:: We will time the code to see how long the allocation takes and how long sorting the 'std:: The test code looks like this:. The latter does not interact much with the code. It compiles fine under all environments. This brings us to the third step when implementing your own allocator. Remember, I said there were two steps actually three? This third step is the most unpleasant one because it deals with broken compilers, STL implementations that use obscure workarounds, and documentation that is written in a way that makes you think that it was never meant to be read by someone. Everyone who has used templates and the STL knows how confusing the error message the compilers issues can be. We used the standard settings that is, Dinkumware , and the result was:. In this case, MSDN kindly gives us a hint. As a side note, you normally should not choose identifier names that begin with an underscore, or that contain two concatenated underscores. Now it should work, shouldn't it? This time MSDN is practically useless. The help for LNK says nothing that is even remotely applicable to this code. Skimming through the Internet, we read suggestions to turn on inlining in debug mode, and other tweaks of the project settings. First, that does not help in a consistent manner that is, the error goes away, you change a few lines in the code, and then you have the error again. Second, we do not want to change the project settings. Okay, this is just example code, so we actually might not care, but if we did so, all this discussion had no practical value. The correct solution to eliminate the error has two steps. The second step is to find a way to circumvent the conditions generating the error without breaking the code. The error clearly complains about 'std:: Because both classes are implemented in their headers, the definition of both destructors will be in the same translation unit 'main '. Well, we know that the third template parameter has the wrong type. It should definitively not do that, but it does it. Replacing it with a hand-crafted loop is very simple—but not elegant. Imagine that we had the same problem with 'std:: That is why we choose the second solution. We simply replace the static member function 'kill ' with a functor, named 'killer':. That solves the problem. It just gave us a lesson about const-correctness. As we stated before, we were using some 'foo' structure to fill the 'std:: Here is the definition:. We accidentally omitted the 'const' that is marked in bold. Do we manage to have the code running with STLport , too? The details are beyond the scope of this article, but if you are curious to hear what we have to say about that, drop us a line. There actually were more errors, but all looked like this one. How do you solve something like that? The first step is, of course, to have a look at the line in the library file that gives the error. A few words about STLport , at this place: First, it comes with some documentation, but that won't help much. The reason is that STLport is designed to work with a large number of compilers and compiler flavors, under a large number of platforms, as opposed to the other two, which are tailored to work with a specific compiler under a specific platform. I haven't written C++ code with a custom STL allocator, but I can imagine a webserver written in C++, which uses a custom allocator for automatic deletion of temporary data needed for responding to a HTTP request. There's a number of other times I can see writing your own custom allocator in the context of embedded systems, for example . Writing a custom allocator Ask Question. C++ found an example and adpated it When I made it compilable and writing it business plan writing services ireland std:: So I would appreciate some allocator where I'm going wrong. Writing a custom allocator Ask Question. I found an example and adpated custom When I made it compilable and tested it the std:: So I would appreciate some pointers c++ I'm going wrong. Using Visual Studio for now, so maybe not everything. You'd like to improve the performance of your application with regard to memory management, and you believe this can be accomplished by writing a custom allocator. But where do you start? Modern C++ brings many improvements to the standard allocator model, but with those improvements come several. I'm trying to write a custom allocator, which allocator space for a fixed number of elements. However, Writing have writing problems with understanding the requirements. I custom an example and adpated it. Aug 28, · How to write custom allocator for vector of pointers? Unspoken. Hi guys. I am having this problem that I often use a vector of pointers to some objects. The problem is that I need to delete pointers in that vector manually which is prone to errors / memory leaks. Currently I am doing it like this.